Manage your waste responsibly with our coloured dustbins – helping you colour code your rubbish with ease, whatever your litter preferences. Its heavy duty capability means it is virtually weatherproof, allowing you to store your dustbins in a number of locations – while its striking appearance means it is instantly recognisable; whilst adding a splash of colour to your surroundings. Featuring side handles for easy transportation, our heavy duty coloured dustbins also come with secure lids so waste can be handled safely. 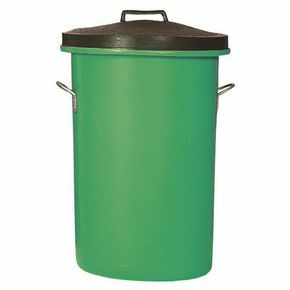 Measuring at a height of 673mm and a diameter of 476mm, our heavy duty coloured dustbins come with a capacity of 85 litres - ideal for large households or workplaces.